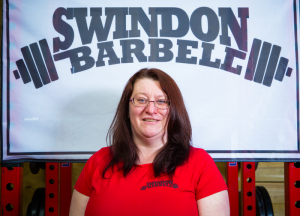 I have been coaching for about 2 years and have the British Powerlifting Level 1 coaching course. I’ve been strength training for around 10 years, and started it to get my injured knees strong enough to ski, but did all over body strength work because I enjoyed it. This then led me to Powerlifting. I have competed in powerlifting for 5 years now, initially in classic competitions, and now in equipped competitions. I am a masters 2 category lifter, which is the 50-59 year age group, and lift in the under 84kg weight class. I don’t really have one – usually it’s the one that’s going well in training! My hometown is Reading, but have lived in Swindon for 25 years What is your favourite food? I spend a lot of time eating bacon.